A new webpage offers only the date and an option to sign up for email notifications, but related marketing material suggests the event is for anyone "thinking about changing phones," according to TechCrunch. Earlier this week, Google in fact raised a billboard in Boston with the Oct. 4 date, urging people to ask "more of your phone." 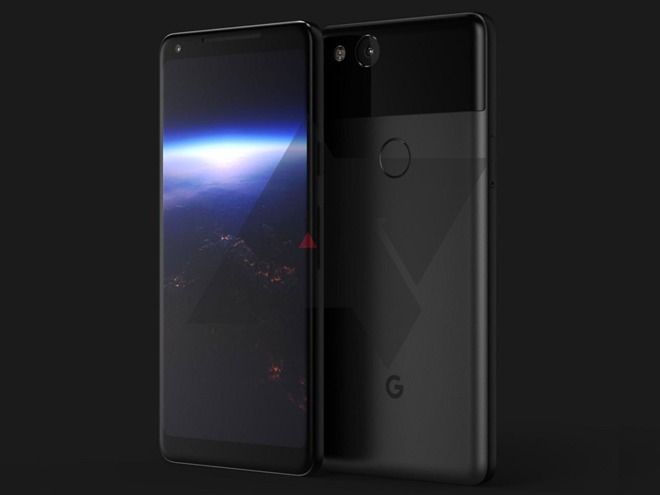 The "Pixel 2" is rumored to have a Qualcomm Snapdragon 835 processor, 4 gigabytes of RAM, and IP68 waterproofing, the last a notch better than the IP67 supported on the iPhone 8 and X. It may also have an always-on display like Samsung's Galaxy Note 8, and pressure-sensitive sides, enabling squeeze controls like the HTC U11. The product should ship in both standard and XL versions, as with the original Pixel. The new XL may be the closest competitor to the iPhone X, as it's expected to have a 6-inch display with extremely narrow bezels. The X sports an edge-to-edge, 5.8-inch OLED screen. The Pixel has captured just a tiny share of the global smartphone market so far, but has proven popular with reviewers, and represents Google's first step into self-designed phones. Earlier Nexus-series phones were Google-branded and ran pure Android, but were designed by companies like LG and Samsung.